That makes “Pastor Missy’s” calling all the more special, and she finds joy at her new appointment, Salem United Methodist Church in Selbyville. Rekitzke came to the ministry later in life. Ten years ago, she said, she felt God saying, “‘You’re supposed to do this. You are supposed to pastor people, lead a church, preach.’ It was just totally out of my comfort zone, which probably meant I was supposed to do it,” Rekitzke said. Both of her kids were in college when she started in the seminary in Washington, D.C. She lived in Seaford at the time, was working in a church and also spending three days a week in the seminary dorms. She graduated with high honors from Wesley Theological Seminary in 2010. Salem UMC traces its roots to 1790, soon after the American Revolution. Rekitzke (pronounced “re-KITS-key”) arrived this summer, just after Independence Day. She described Salem as “a family” with open, loving arms. This year, Rekitzke said, she hopes to emphasize outreach and bring the entire community together, perhaps with a prayer breakfast. Rekitzke also loves running (even if her foot often disagrees) and the spiritual escape it provides. She raced in two half-marathons in 2018 and continues running with Unleashed, a fundraising arm of Talbot County, Md.’s humane society. Her religious philosophy, she said, is simple: Love God and love others (but also be kind to yourself). She said she is moved by the power of His love, freely given to humans, although they’re sometimes selfish, unkind and worse. But church didn’t always provide comfort for Rekitzke. Growing up, she occasionally attended her grandparents’ “fire-and-brimstone” church, which actually led to nightmares. Because she wasn’t a regular churchgoer, she said, she believed God didn’t love her. Her faith didn’t spark until 20 years ago, in Seaford, when she was invited to a weekend retreat called Walk to Emmaus. 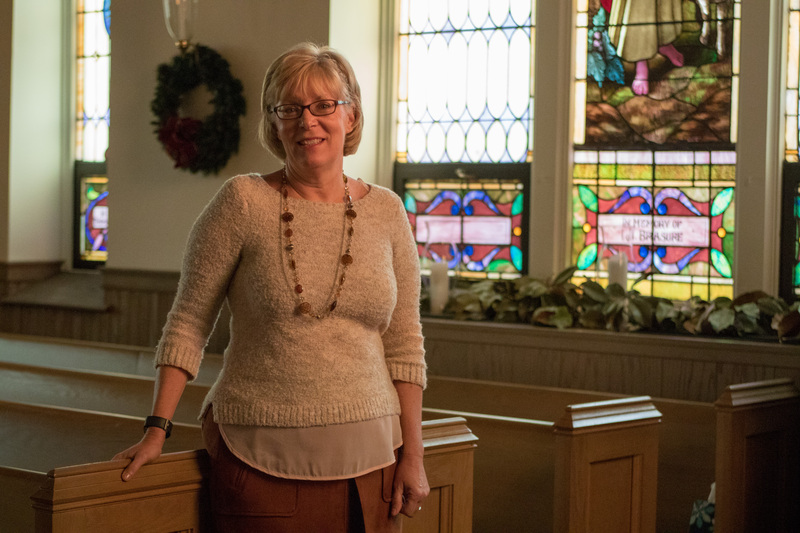 Now, she’s the spiritual director for the Chesapeake Walk to Emmaus, which helps people strengthen their relationship with God in a three-day retreat, as well as meet-ups during the rest of the year. “God can bring good out of the worst situation. Sometimes we have to wait for it, [but] out of the storms, God will make a way,” said Rekitzke, adding that she personally knows how surviving hard times can build character. What’s the best part of ministry? The people who share their lives with her. Originally from Illinois, Rekitzke met her husband at the University of Illinois, and they moved to the East Coast more than 20 years ago when he was transferred for work. In the past, she worked at Nanticoke Memorial Hospital and the Western Sussex Boys & Girls Club, owned a wallpapering business and did plenty of waitressing. In the church, she said, she has enjoyed working with youth groups, dance teams and even in set design. As an ordained minister, she served at Hope UMC in Dover, then managed three small churches simultaneously in Queen Anne’s County, Md. Finally, she spent five years at the very large St. Mark’s UMC in Easton, Md., before coming to Salem. “I’ve been the first female pastor at every church I’ve served,” she noted. Of course, coming to a new church can be tough, as the pastor and people learn each other’s history and style. Rekitzke said she likes to help the church plan its vision but let the people steer their course. She said she loves living in the Salem parsonage with her husband, Phil, and their dog, a yellow Lab mix named Chief. She also enjoys reading, hiking, kayaking and being a grandma. The Rev. Michelle Rekitzke can be reached at pastormissy@sumc.com or (302) 436-8412. Salem United Methodist Church is located at 29 West Church Street, Selbyville. The church website is at www.sumc.com. There are three worship services on Sundays: informal praise service at 8:30 a.m. in the sanctuary (praise team, hymns, choruses); contemporary service (modern music, live band) and children’s Sunday school at 9:45 a.m. in the Salem Center; and traditional service (hymns, organ, liturgy) at 11 a.m. in the sanctuary.